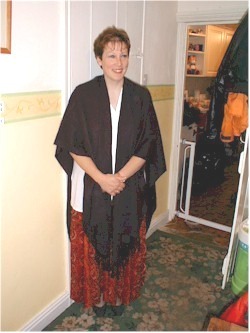 This is my wonderful wife Carol whom it is fair for me to say all of us Harrisons and Coughlans depend upon and owe a great deal to. 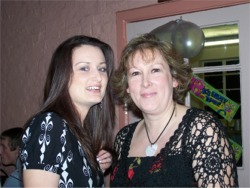 Myself and Carol got married on May 30th 1998 at Horncastle Methodist Church after having both been previously married. I proposed to my wife by means of writing a poem one night and leaving it out in the morning for her to find, this I have shown a copy of a little further on called My Proposal. We both have children from our previous marriages, Carol having three David 22, Laura 20, and Richard 18. Myself I have Christina 23, Jason 21, Alexander 20, and Jennifer 18. Together we have a son Robert who is 8. 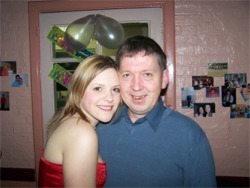 To the left is myself Robin and also my youngest daughter Jennifer on the occasion of her 18th birthday earlier this year held at Horncastle Community Centre..
Has a couple we run two companies Dolly Char Ltd which is a cleaning agency that services central Lincolnshire and Dolly Char (UK) Ltd which deals with selling franchise business opportunities throughout the United Kingdom and beyond. To find out more about our businesses please use the link provided here Dolly Char.. To view my C V please follow this link C.V.
To the left is the most recent addition to the family, a little Jack Russell terrier who we have named Danny. As you can see he appears to have settled in quite well!!! 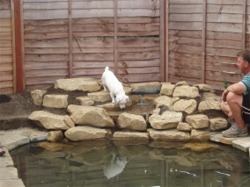 The photograph is of him investigating the new pond that I had just completed with me looking closely on. 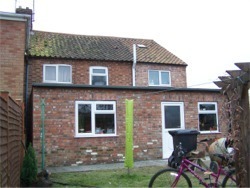 The house we live in is a four bed roomed semi detached. We have over the past few years done many alterations to it including building two extensions and also landscaping the outside. The house is pictured to your right. We enjoy our breaks away visiting different parts of the country, and been English Heritage members we take full advantage of all the historical attractions up and down the country. 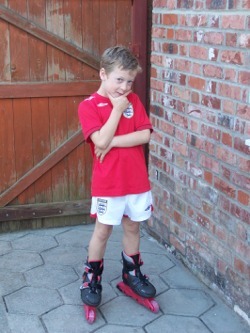 Below is mine and Carols young son Robert whom as previously mentioned as just reached the grand old age of eight. But there is no other way!!! How I wonder her answer’s there!!! Will she think I’ve cracked??? I must find some other way!!! Shall I send a fax? Carol will you marry me????????? It goes without saying the answer I received was the one that I was looking for. If you enjoyed reading that poem you can find a few more HERE that I have wrote over the years, many of them have a relevance to things that have happened during my life. I still continue to write to this day. 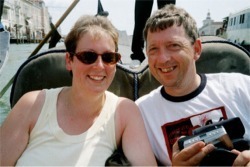 A picture below taken on the canals of Venice three years ago of myself and Carol during a family holiday in Italy. Below is a picture of my step sons Richard and David at a recent family gathering. A picture from a few years ago when Alexander had just taken up fishing, he still spends many an enjoyable day by the waters edge when are from his military duties. 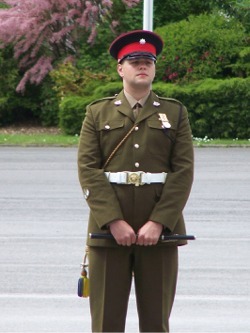 The picture below is of Jason who is now in the Royal Anglian Regiment taken during a recent passing out parade up in Catterick North Yorkshire. 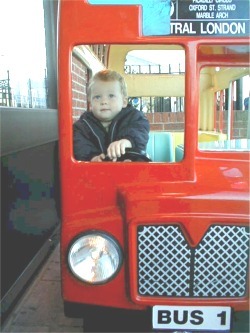 The picture below is of Alexander my son whom is in the Grenadier Guards. He is the lad with the patch on his eye in the middle of alot of his mates. And below is a picture of the family chauffer Robert at a much younger age. On the music front I was brought up during the swinging sixties, and to this day my favourite group is still the Beatles. I do although enjoy listening to other groups and soloists Madonna, Robbie Williams, Oasis, Queen to name just a few. 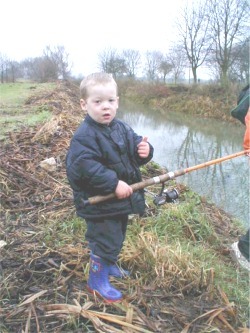 Also a few years ago Robert also got the bug for fishing as was witnessed during a trip to the waters edge, he is pictured here putting his thumb up to the cameraman!!!! 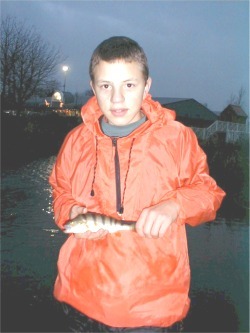 !, unfortunately for Robert he didn't manage to catch anything on this occasion!!! !, but maybe next time he will have better luck!!! !